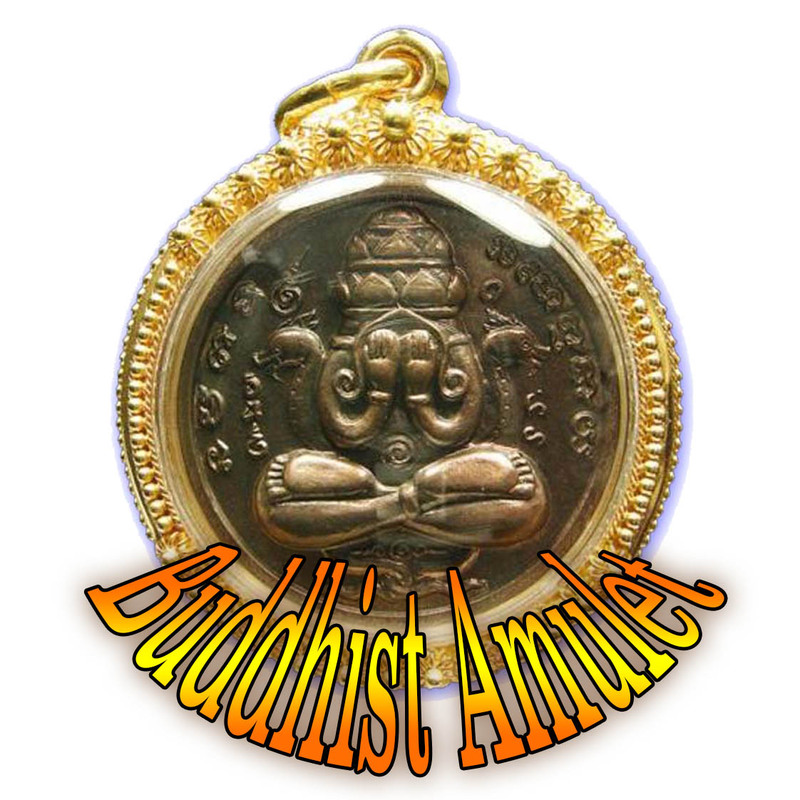 Presenting a Sacred Classic that was for over a Century only available in our dreams, and to the Wealthy, that has returned to Grace the World Stage of the Amulet World; The Pra Somdej Wat Rakang Banju Kru Wat Sadter Ayuttaya of Somdej Pra Puttajarn (Dto) Prohmrangsri. 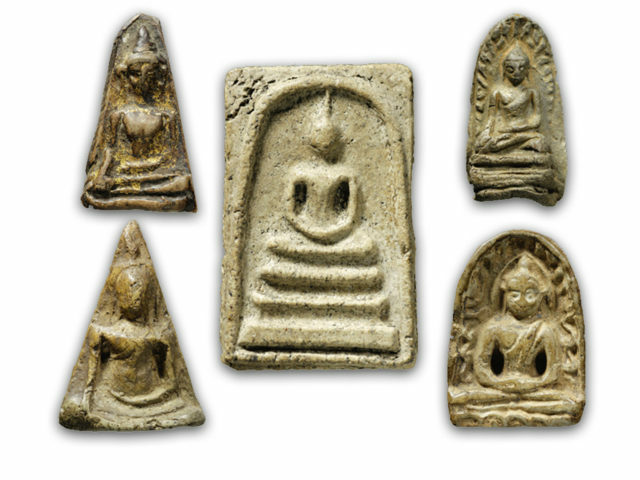 The amulets were made in remembrance of Somdej Dto's Parents, as was the Sayasana Buddha statue and Chedi Stupa of Wat Sadter. 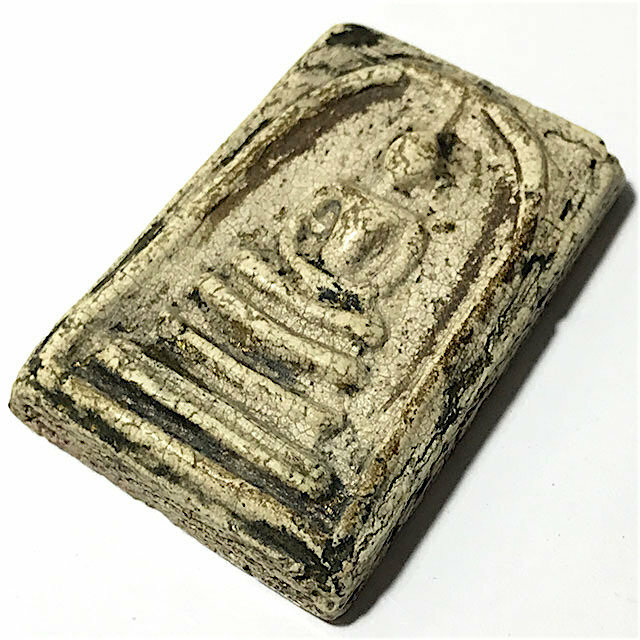 The Pra Somdej Wat Sadter amulet is no longer in any serious need of doubt as to who made them when we study the History, Visual Aspects, and Documented Evidence, including confirmation by ex abbot of Wat Rakang Kositaram Luang Phu Nak, that the Pra Somdej Wat Rakang Kositaram found at Wat Sadter, were placed in the Buddha Statue and Chedi Stupa by Somdej Pra Puttajarn (Dto) Prohmrangsri himself, and are one and the same amulet with the Pra Somdej Wat Rakang Kositaram of Immortal Legend. The Muan Sarn is a wondrous thing to examine under the eye loupe, and with extensive perusal, will slowly but surelly reveal the inner secrets of the many ingredients within its Muan Sarn Sacred Clay, as the eye becomes ever more fine tuned to gazing into the depths beyond the surface with increasingly subtle insights arising regarding the composition of the Sacred Clay of the Pra Somdej Wat Rakang Kositaram amulet of Somdej Pra Puttajarn (Dto) Prohmrangsri. For the Group who revere the Wat sadter amulet as that of Somdej Pra Puttajarn (Dto) Prohmrangsri Wat Rakang Kositaram, we are beholding an Eternal Classic, and one of the most Sacred Amulets, which has blessed us by escaping the clutches of the speculative investors, and is affordable within the reach of most people who seriously seek the honour of wearing and revering what well studied aficionados accept to be a true Pra Somdej Wat Rakang Kositaram of the Great Somdej Pra Puttajarn (Dto) Prohmrangsri.